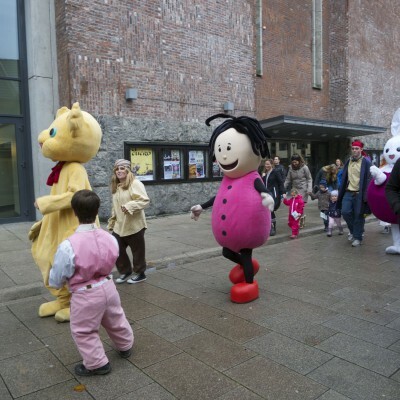 The 2013 edition of Fredrikstad Animation Festival happened from 7th to 10th of November and the festival venues were Fredrikstad Kino and the new Litteraturhuset in Fredrikstad. 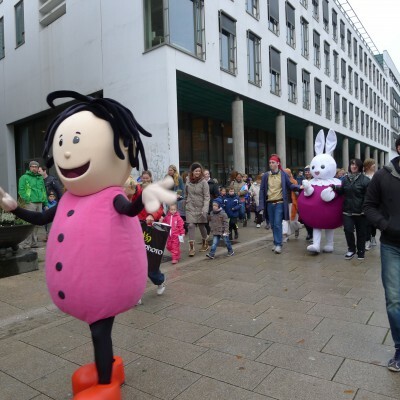 The festival was dedicated the 100 year anniversary of Norwegian animation and had several events and screenings presenting the pride tradition of Norwegian Animation. 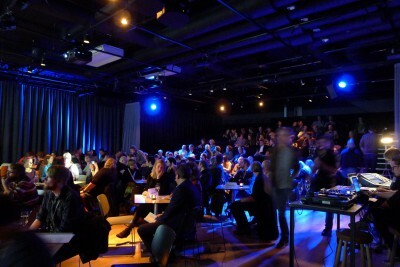 The festival is one of the biggest festivals for the film industry in Norway, but the program was also packed with seminars and initiatives for the Nordic animation branch. 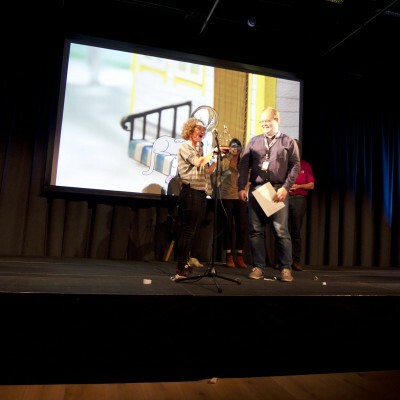 The festival presented highly recognised artists and directors from the international animation scene. 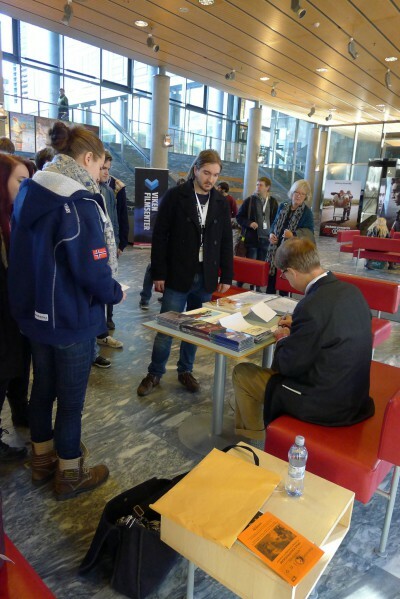 The festival had guests from 19 countries around the world and the official guests were Bill Plympton (USA), Tom Moore og Adrien Mérigeau (Ireland), Benjamin Renner (France), Sefi Gayego (Israel), Eero Johannes og Elina Minn (Finland), Jonas Holmer (Sweden), Tom Lowe (UK), Naja Ankarfeldt (Denmark),Anita Killi, Trine Aadalen Lo, Endre Lund Eriksen, Rasmus A. Sivertsen, Kine Aune og Thor Sivertsen (Norway). 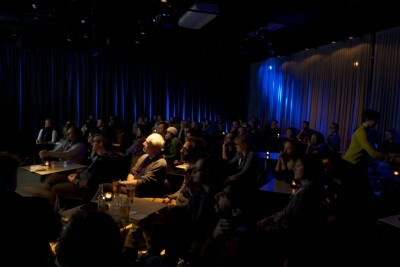 78 films were screened in nine short film programmes, additional to six films at the opening of the festival. 132 films were entered to the festival short film competition, 40 of these films were selected to be screened at the festival. 18 professional short films, 14 student films and eight commissioned films. 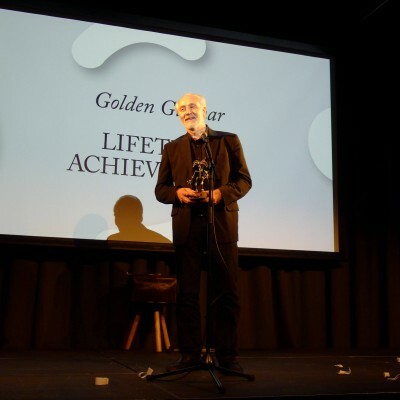 Other short film programmes was, 100 years of Norwegian animated films, Cartoon d’Or nominees and a Bob Godfrey retrospective. 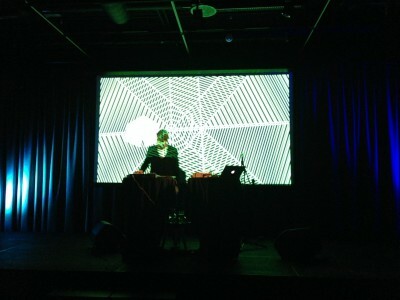 Seven features film were also screened. Handed out by the festival board. 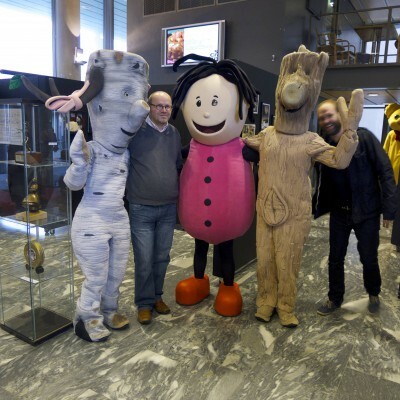 The receivers of the awards have both played an important role in the development of Norwegian animation and storytelling. They have worked together, but also had separate careers. 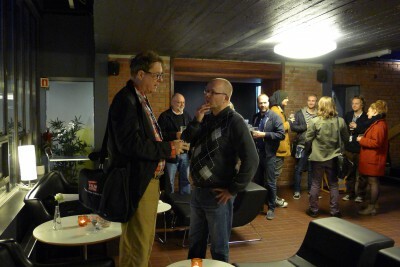 One has mainly produced and directed films for children, the other has with his animation style contributed to the beginning of an international breakthrough for Norwegian animation in the mid 1980’s. 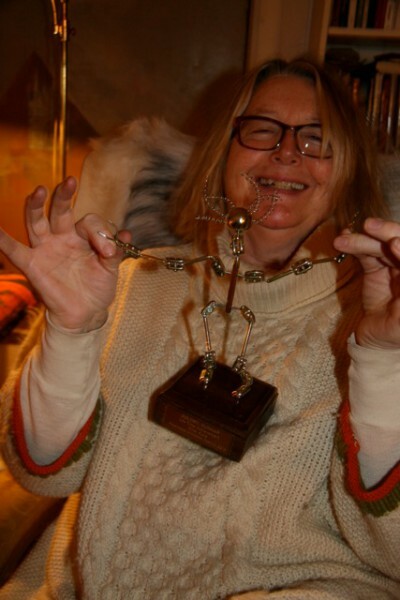 With the short and funny “Zwish”, which got a lot of attention at festivals around the world and “What shall we do with little Jill” that won the highest award in Shanghai in 1988, the two award receivers have been central figures of Norwegian animation. 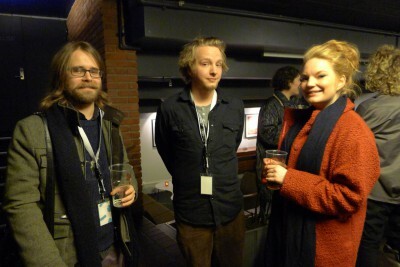 The jury members for the Nordic and Baltic competition 2013 were the Norwegian photographer and short film maker Morten Skallerud, Dominique Seutin who is one of the organizers of Anima Festival in Brussels and Swedish director and animator Anna Mantzaris. Directed by Kari Pieskä from Finland. Directed by Kajsa Næss from Norway. The jury statement: This film tells an important story in the best possible way. We really loved the strong interviews combined with carefully selected and well-made illustrations. With a mix of techniques, a precise rhythm and some great moments, this is a very strong and touching film about children whose fathers are in prison. Directed by Sini Pietiläinen, Anni Oja, Markus Tervola and Taru Riskilä from Finland. 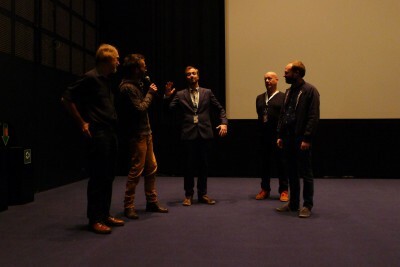 The jury statement: “With lots of humour, fine sense of style and nice stop-motion work, this film tells an absurd story of masters and servants in an upper class setting of the 18th century. The film becomes better and better as it goes on. 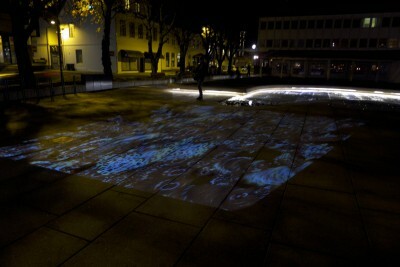 It is full of surprises and visual inventions”. The jury also chose to give special mention to Electric Soul by Joni Männistö from Finland and Blame it on the Seagull by Julie Engaas from Norway. Directed by Trygve Nielsen from Norway. 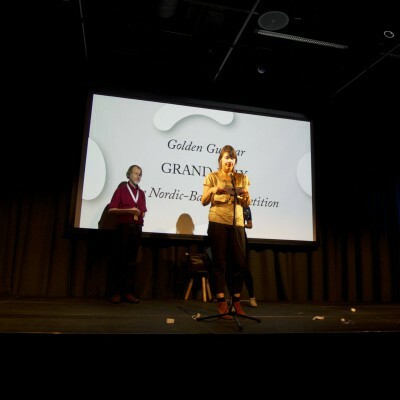 Five children from the Fredrikstad region were given the task of selecting the winner of the Golden Gunnar amongst the films in the children’s programme. The jury consisted of Andrea Berg 9 years, Synne Bongard 8 years, Benjamin Bjørnstad 8 years, Erik Friis 8 years and Ruben Sveen 10 years old. 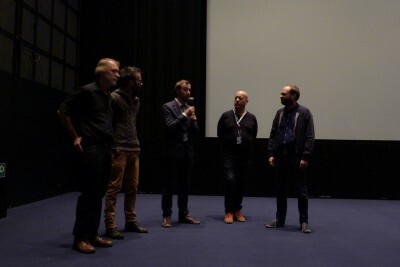 The children’s jury also chose to give a special mention to Rob ´n´Ron directed by Peter Schmidt and Magnus Møller. Directed by Julie Engaas from Norway. 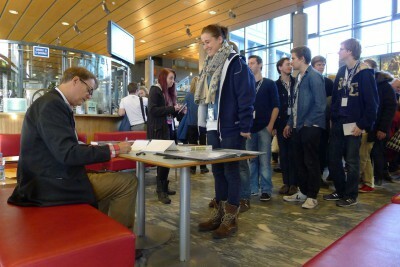 The festivals seminars focused on 2D drawn animation and animated features. The seminars presented artists and directors from independent studios outside Hollywood and presented their work with new features. 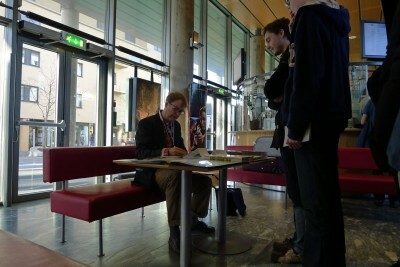 Moderator for the seminar was the Dutch journalist Peter Schavemaker. 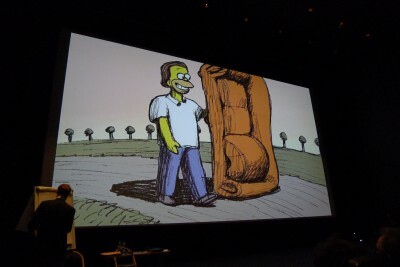 It was a pleasure for the festival to invite US based director and animator Bill Plympton, who is known for drawing every single frame in his films. 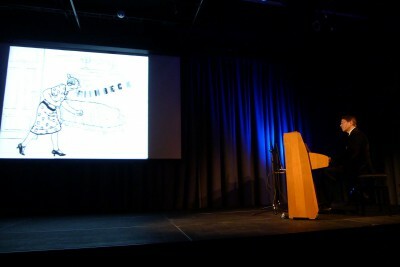 Plympton presented his work with his lateste feature Cheatin’, focusing on the creative process of filmmaking. 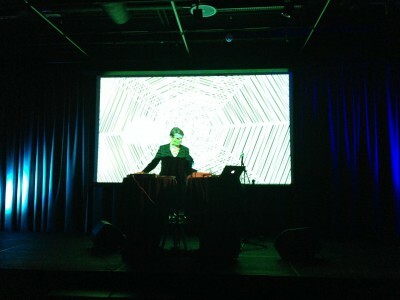 Cheatin’ had it’s Norwegian premier at the festival in 2013. 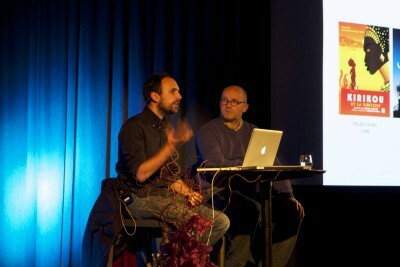 Tom Moore and Adrien Merigéau from the well-recommended studio Cartoon Saloon, presented their work whit the upcoming feature Song of the Sea. 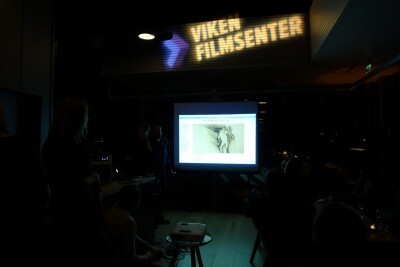 Together they presented artwork and the creative process behind the film. Benjamin Renner is one of three directors of the academy award nominee film Ernest & Celestine, which is based on a series of children’s books by the Belgium author and illustrator Gabrielle Vincent. 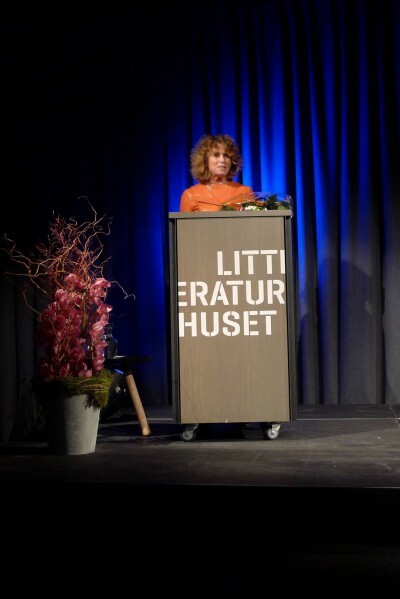 The seminar was presented at Litteraturhuset in Fredrikstad and focused on the artwork and adaption. 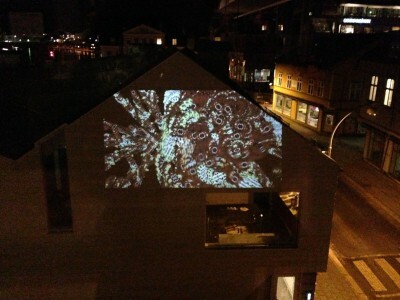 During the festival new visual art that use animation as the main technique was projected. 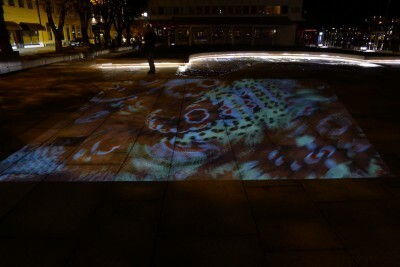 Four artists from the Nordic region was invited to create new art to light up buildings and squares in Fredrikstad during the festival. 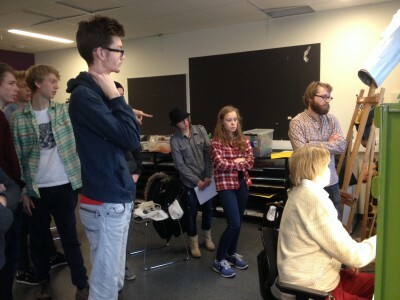 The four artists on this project were Eero Pitkännen, Elina Minn, Jonas Holmer and Naja Ankarfeldt. Anita Killi presented her latest work with the up-coming feature Christmas Survivors, in the Norwegian news section during the festival. After the presentation there was a panel debate about scriptwriting for children’s films, including director Rasmus Sivertsen (Plobby the police car, Jul i Flåklypa), Producer Trine Aadalen Lo (De tøffeste Gutta, Christmas Survivors) and author Endre Lund Eriksen (Pittbullterje, Dunderly). After the screening of The Congress by Ari Folman, animation Supervisor Sefi Gayego presented his work with the film and had a Q&A session. 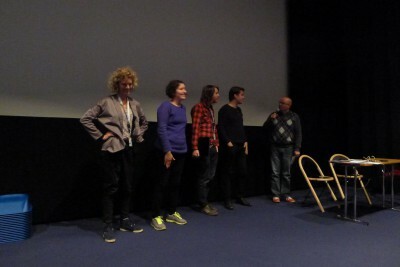 Before the retrospective program of Norwegian animation, filmmakers including Thor Sivertsen, Morten Skallerud, Anita Killi and Lise Fearnley was present and introduced their films to the audience. Bob Godfrey’s grandson Tom Lowe presented, Bob Godfrey’s life and work, before the screening of a retrospective dedicated to the recently past away genius. 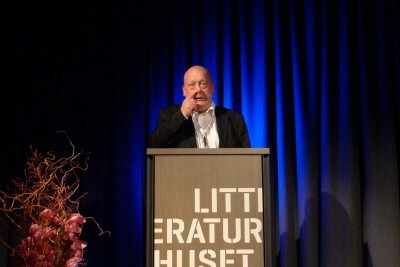 The official opening of the festival was dedicated to the 100 year anniversary of Norwegian animation, whit the deputy mayor in Fredrikstad, Kari Agerup and actor Trond Høvik as official speakers. 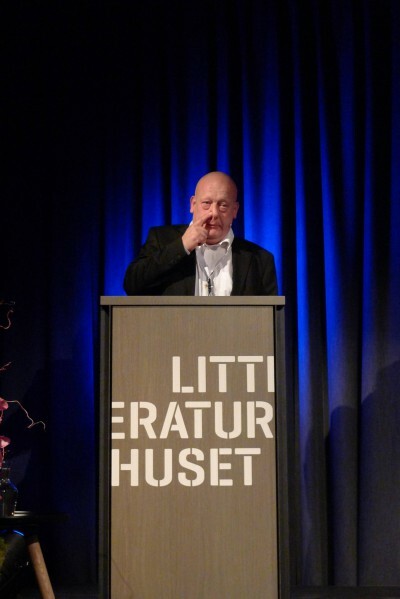 The pianist Morten Gunnar Larsen held a silent movie concert, playing to early Norwegian animation classics. 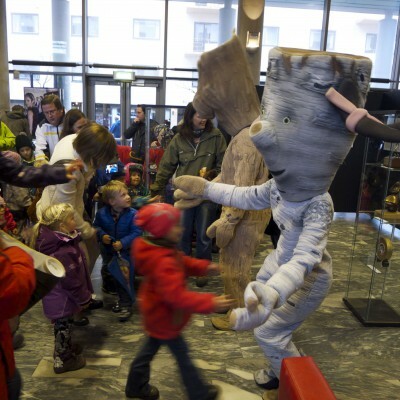 In co-operation with the Norwegian animation Centre in Volda, an exhibition was held in the City Hall of Fredrikstad. 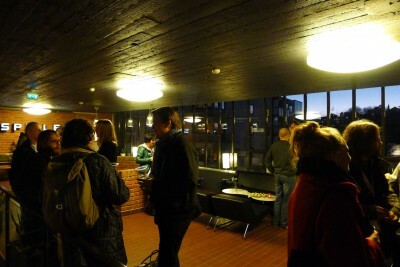 The exhibition showed materials from classic Norwegian animation. The exhibition was a part of the animation center´s work on conservation and display of materials used in animated films during the time. 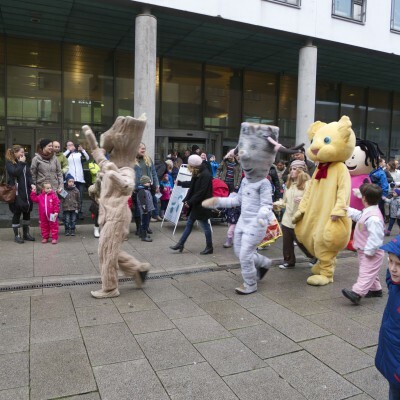 The festival also had a special focus on children and young people, with a character parade, workshop for young talents and a high school seminar. 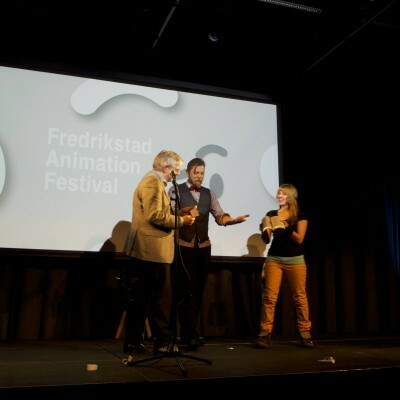 Fredrikstad Animation Festival 2013 was produced by Stiftelsen Norsk Animasjonsforum. 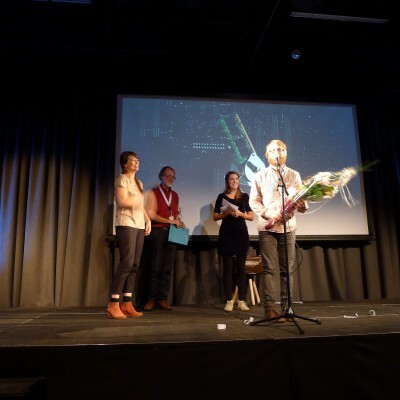 The festival staff was Festival Director Anders Narverud Moen, Programme manager Marita Mayer and information and event coordinator Lene Juliussen. 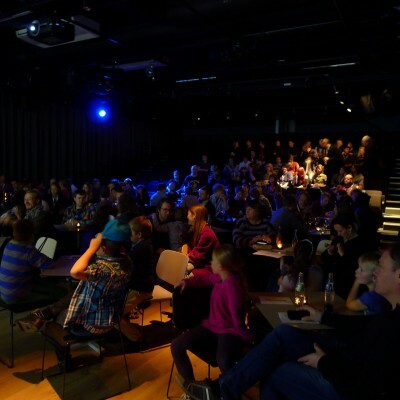 The festival was produced in co-operation with: Amandus festivalen i Lillehammer, Animation Volda, Arena Magica, Betech Data, E6 Østfold Medieverksted, Fabel, Film og Kino, Frame by Frame, Fritt Ord, Fredrikstad Kino, Fredrikstad Kommune, Grafill, Karivold Film, Kulturkontakt Nord, Litteraturhuset i Fredrikstad, Netron, Norwegian Animation Center, Norsk Filminstitutt, Qulthus, Rica City Hotell, Verdensspeilet Kaffebar, Viken Filmsenter, Østfold fylkeskommune and Østfold kulturproduksjoner.